There were some eye-rolling moments in the series, certainly. I think Mary was ready and willing to sleep with Pamuk out of sheer boredom. My god, it looks pretty on the outside to be one of those sisters, but what a life. But I can't believe there's an entire post on Downton Abbey and no one mentioned Mr. Bates? I think Mr. Bates killed his wife. Ramona - you are a provocateur! Mr.Bates could never have killed that harpy. Even though she may have deserved it. I vote for the Rebecca-like she knew she was dying so she poisoned herself. Oh, Rosemary, that makes me so sad. When people of my age were young we all watched Shirley Temple as Heidi, in black and white, at least once a year. I don't remember the whole story, but her friend Klara was sickly, but with Heidi's surreptitious help she miraculously and dramatically improved, a la rising out of the wheelchair for her joyful parents. Don't you all think the costumes also serve as a sort of character on that show? They are so luscious, and even amongst the servants you can see subtle differences. Comparing Daisy with Anna, then O'Bryan, then Mrs. Hughes with her belt of keys. I love that. I also thought Mr. Pamuk was going to introduce Mary to some fancy sexual technique, possibly oral, that would allow her to preserve her virginity, although I didn't trust him to stick with that plan. Karen, wasn't it supposed to be the fresh mountain air and all the goat's milk that "cured" Klara? I read and re-read the Heidi books and that goat's milk stick in my mind. Darlene, I can't remember, it's been ages. What most struck me about that book was their diet, though. Cheese (presumably from goats milk), and hard bread, plus milk. No word on vegetables or fruits, or even meat. Even as a child that freaked me out! I can't decide about Bates. Could anyone resist the urge to knock off someone so obnoxious? She was so awful. Rosemary, I have no problem with a Rebecca-like ending to the Mrs. Bates problem. He killed her but he gets away with it because I didn't like her. Works for me! I'm going for the Rebecca-like plot re Mrs. Bates. She knew she was dying so she poisoned herself and made it look like he did it. 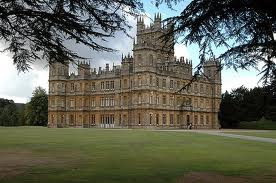 Julian Fellowes borrows from everyone else, so why not Du Maurier? But I don't care. It's still such fun to watch. I also thought it was hinky that Pamuk snuck into Mary's room and tried to force himself on her. (Granted, her resistance wasn't strong, but if it had been--and she knew this--that would have been a huge scandal that would ruin her also.) In those times, as Deb says, there was tons of bed-hopping during those English country-house nights--but not with single girls of good family and prospects. Men might try to seduce them or at least get some heavy petting, but it wouldn't be by invading their bedrooms. And the Heidi moment, of course. The thing is that we love the characters who are so well-fleshed and motivated that we'll overlook all these problems. Hasn't The Secret Garden got a "Heidi" moment, too? Ladies, please! How could you talk about the series and not mention the wonderful Hugh Bonneville. A man of integrity and compassion, who sweeps me off my feet. Thomas killed Mrs. Bates! Remember he borrowed money for a black market venture and was duped. Where did the money come from? We haven't been told yet, but he was in London at the time she died. He killed her because he couldn't pay back the money. So funny Karen, I loved reading about that cheese, bread, and milk diet. I still love cheese:). Terry, I think you may have nailed it--Thomas killed Mrs. Bates, knowing it would be pinned on Bates himself. How perfect is that? So you guys think Thomas framed Bates? Thomas murdered Mrs. Bates and framed Bates, yes! And since he's Thomas, his early success with this is going to start coming unraveled again while he squeals about how unfair it is. I think it was Rhys who first suggested on her blog that Sir Richard killed Mrs. Bates. That makes perfect sense to me. Thomas killing Mrs. Bates to frame Mr. Bates is fiendishly clever but would have taken a lot of effort on Thomas's part. I suppose it depends on motive: does he hate Bates enough to do it (or want to be a valet so bad)? I feel sorry for Mathew's bored OCD valet who lost his temp job to the evil Thomas. I can hardly wait for next season! Am I the only person who thinks Carlisle arranged to have Mrs. Bates killed, because he realized she wasn't going to keep up her end of the bargain? I thought Mary's resistance/desire with Pamuk was very truthful. It's hard to imagine she felt one but not the other, though I always thought she got more than she bargained for. (See where flirting leads? :) But it's a complicated moment for her, and I liked that it had more than one color. Character trumps plot...very interesting. I think in this case it's certainly true. I tune in to D.A. to spend time with these people more than to find out where the story is going. Great article - thanks! P.S. Deborah, I really enjoy your books and only recently learned you're American! Fooled me! Sorry...just saw the comment about Rhys's blog and Carlisle. I'm not alone! 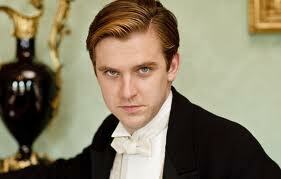 Amusingly enough, the "Heidi" moment actually happened to the actor who plays Matthew Crawley. He injured his spine playing rugby some years back, lost all function in his right leg, and when the swelling went down, regained the use of his leg again. Just FYI. Do agree that he probably would have landed flat on his face, though. And the timeline for Downton Abbey makes no sense whatsoever, if you look at it critically. By the time Mary's scandal (SPOILER) will have come out in S3, it's not going to matter as much because the family can play it off as Pamuk being the bad guy, what with the whole World War I and fighting against Turkey thing going on. The English countrymen would find it a lot less scandalous since it's a) 8 year old news, b) Mary's engaged to a man of good repute, and c) the aforementioned tensions between England and Turkey at the time. Also, the ideas of promiscuity and sexual freedoms changed *a lot* during WWI. 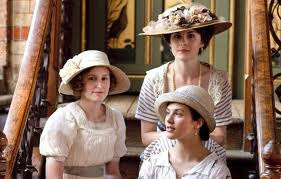 But I agree with Joanne Lessner that the Pamuk incident was Mary getting more than what she bargained for. Her overconfidence cost her in spades, and I found it interesting how a single point had a ripple effect that completely altered her character (she grew up) and affected every piece of her life for nearly a decade. And the only way Thomas would have killed Vera Bates was if he stopped by to bribe her and in true Thomas fashion, his scheme went horribly, horribly wrong. I love everything about this movie. From the story line of show upto the props and arrangement of their sets especially, the way they achieved every scene they wanted to have. Hmmm. 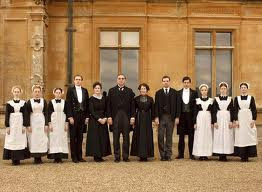 How about setting up my own downtown abbey room in our house.